An argument essay contains a discussion on an important topic. Such an essay should be very convincing, comprehensive and show different sides of our multi-faceted reality. Nowadays people prefer writing on the forums, in social networks, on their own blogs, because it is always easier to defend or attack a given point of view without having an opponent against you. Illogical, unjustified, and pretty emotional articles somehow find their way to popular newspapers or web sites. Regrettably, the ethical norms and rules are usually not followed by those ones who are eager merely to attract readers, and not to tell them the truth. Thus, the majority of students are not certain how to write an argument essay. Hence, you should always aspire towards gathering adequate information about facts, and explaining them correctly. Your point of view should invariably take into account different points of view on one and the same subject, whether you like them or not. An argument essay should be very convincing, comprehensive and show different sides of our multi-faceted reality. The topic you choose should be very carefully explored by you. At any rate, it is recommended to work on a topic which seems controversial, or such which you have a lot of experience with (and you believe you can tell the reader more than other writers do). Don’t go into details here: pick up a term like “education” and put it in a given context- “socially excluded high-school students.” Thus, the topic will be like “The education of the socially excluded high-school students.” Of course, it will be better to choose more attractive titles than this one. In all cases, you should rely on authoritative sources. Try to find at least two authors dealing with the topic. Select a few quotes from them (only relevant to the topic). Search in specialized databases for scholars (not Wikipedia or forums). 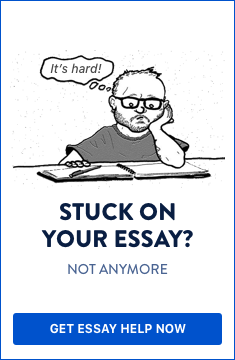 The level of your essay (according to the requirements of your instructor) determines the quality and quantity of information you have to gather. A short essay will require two or three quotes, and not deep analysis of the conceptions you refer to. Conversely, a high-quality academic essay requires serious research on the topic: read at least five academic articles and one or two books. Introduce your topic with short definition of the basic terms and the context of your research. For instance, define the phrase “socially excluded”, define the term “education.” Your point can be that there are different types of education, and that the aforementioned young people can be educated in a non-formal way. Here you can contrast your point of view to a counter-thesis: that non-formal education is not enough. Remember: be correct to both theses! Don’t distort the counter-thesis in order to merely make your point look more plausible! These two points of view belong to definite theories. You should refer to their authors or proponents. Quote short passages written by them, and then analyze them in brief. The quotes should be well-integrated into your text. Don’t quote just because you need to write a longer paper. Here you can explain why you believe your point of view is more reliable, and what other points can be argued for. The main goal of writing an argument essay is to allow the readers to assess the plausibility of your thesis.